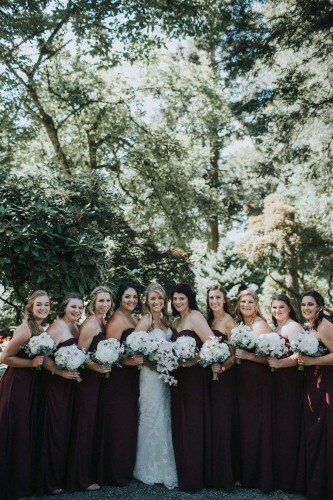 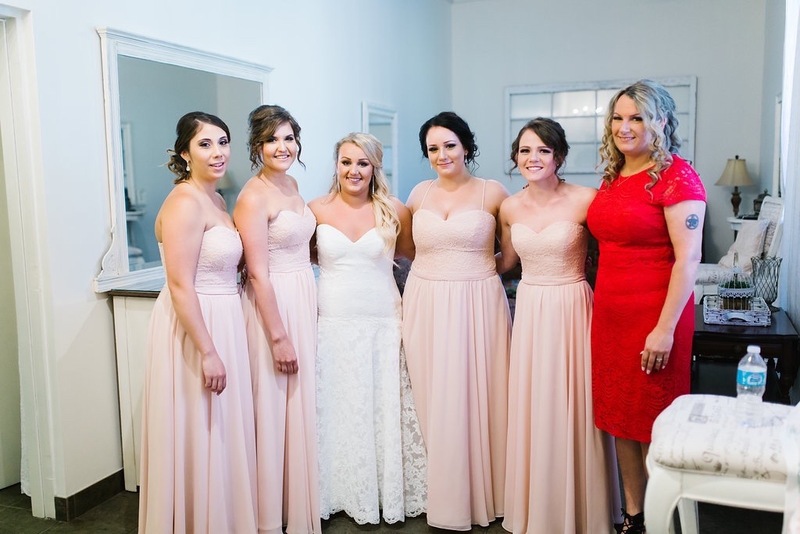 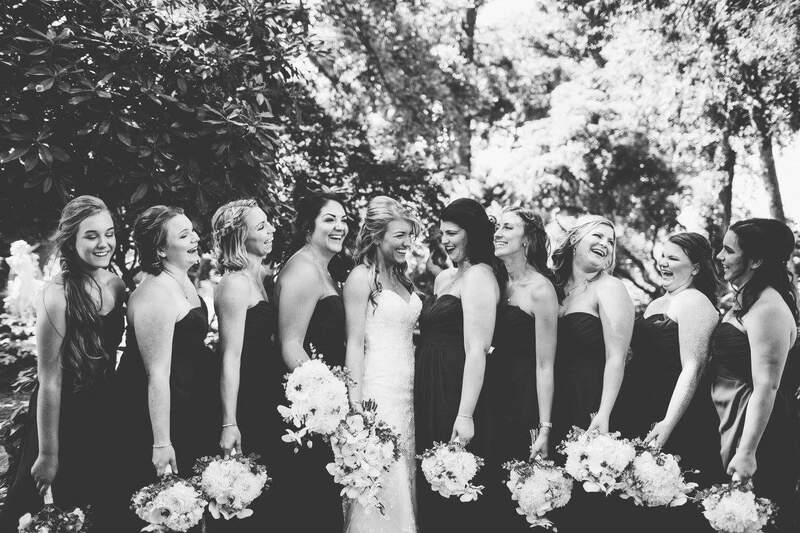 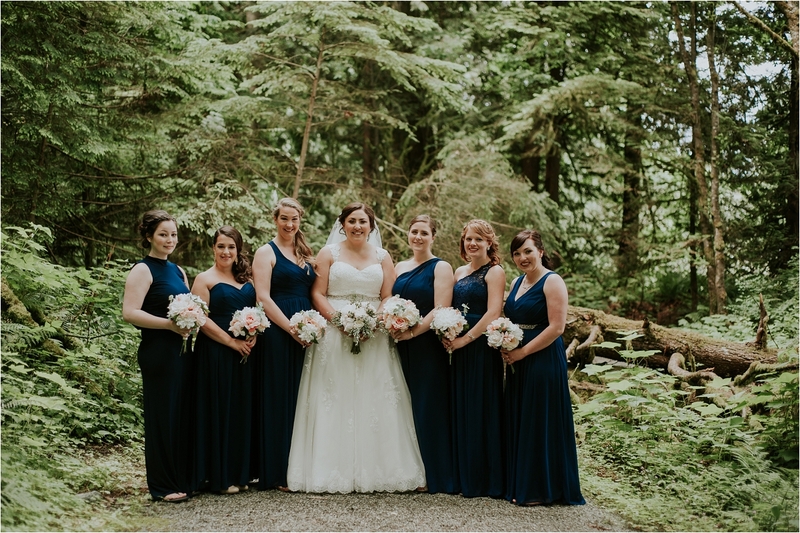 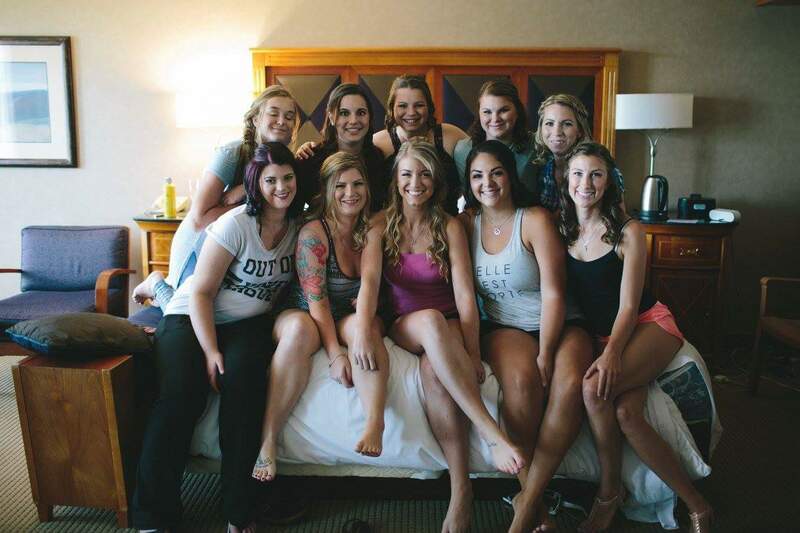 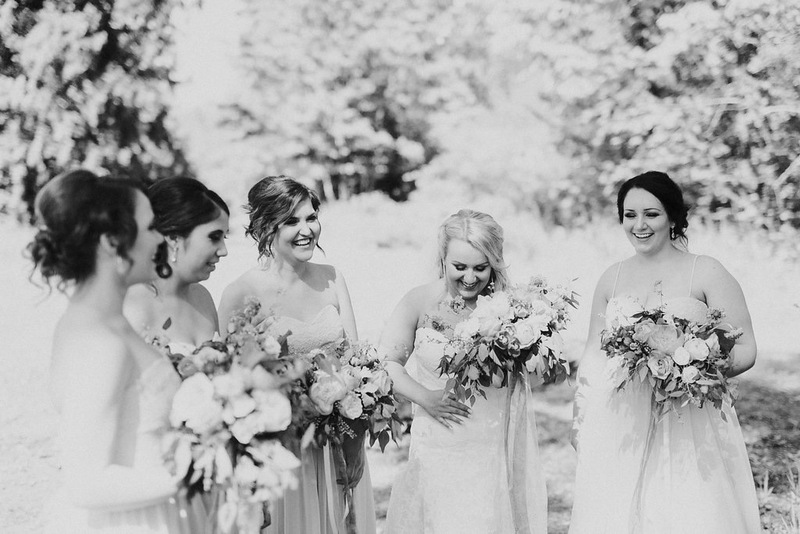 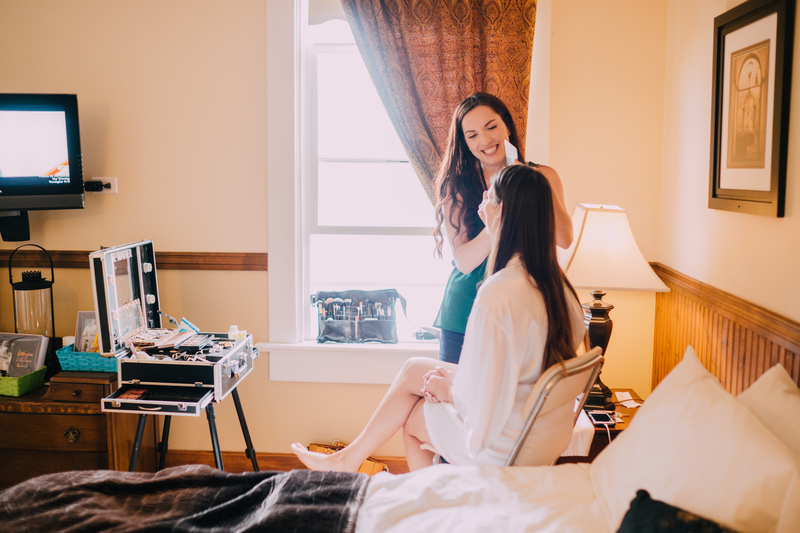 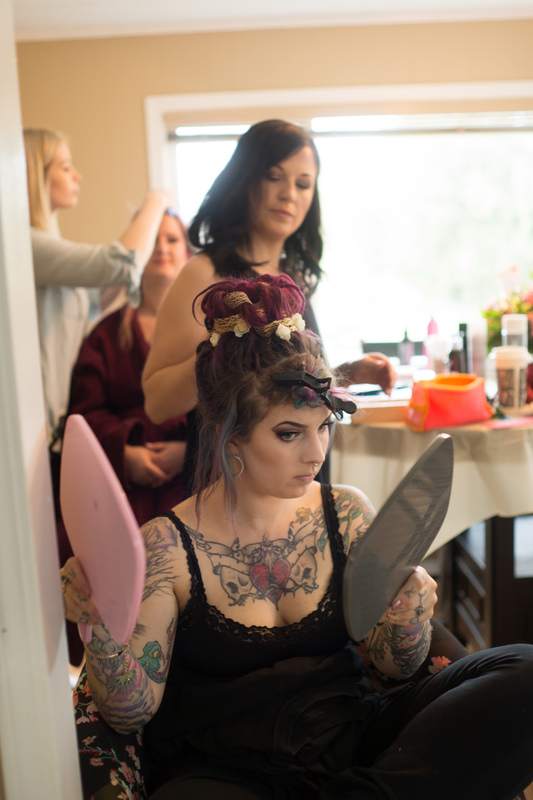 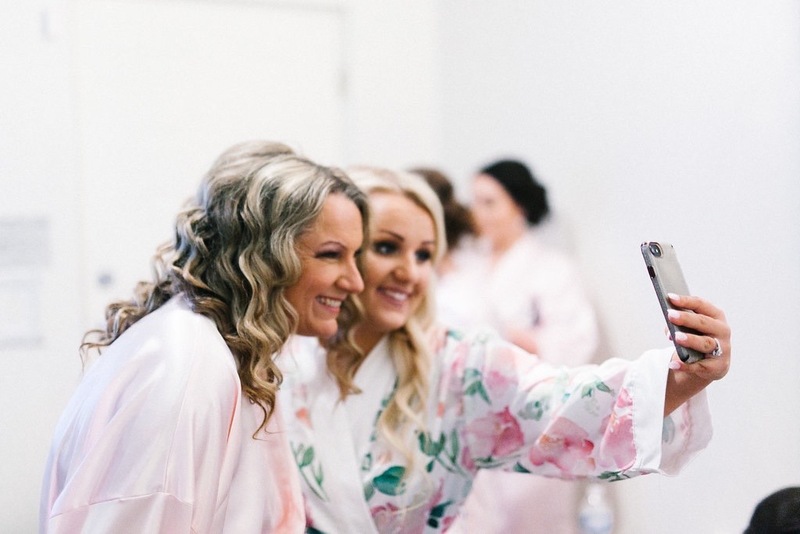 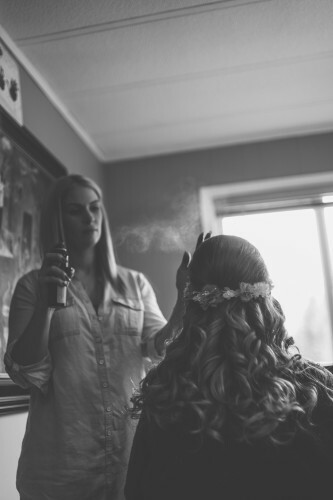 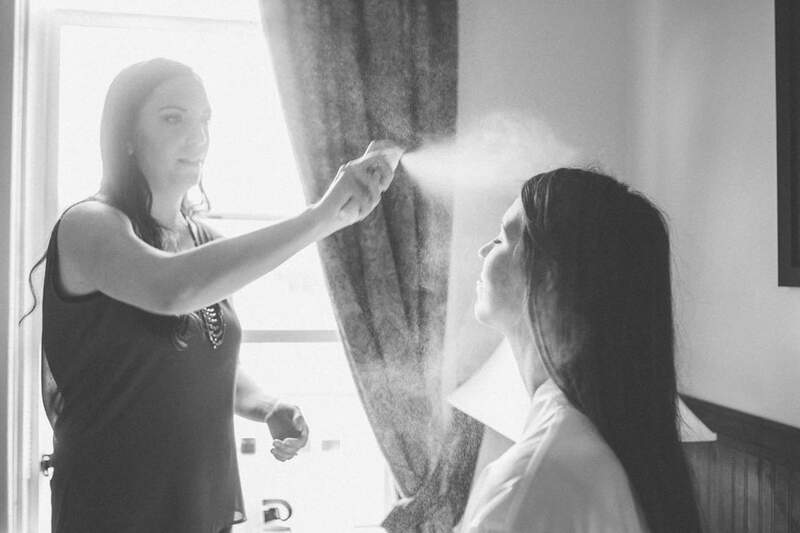 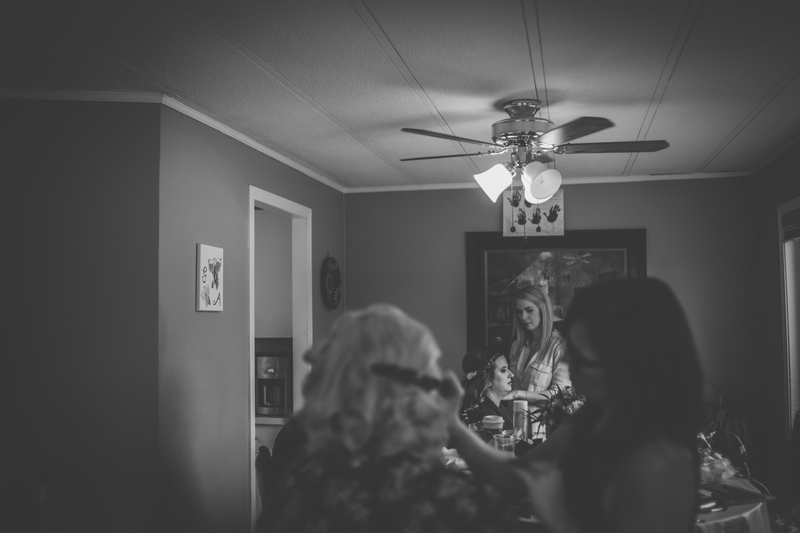 Alanah and her bridesmaids got ready at The Royal Hotel in Chilliwack BC on the morning of her wedding day. 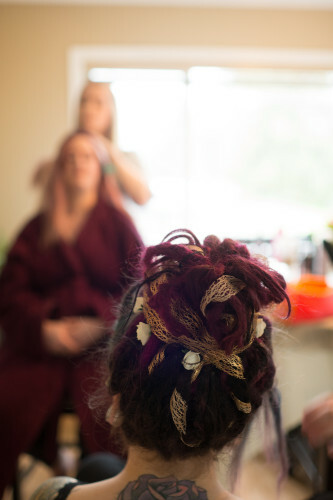 I met up with the bride to create a very soft color range for her look. 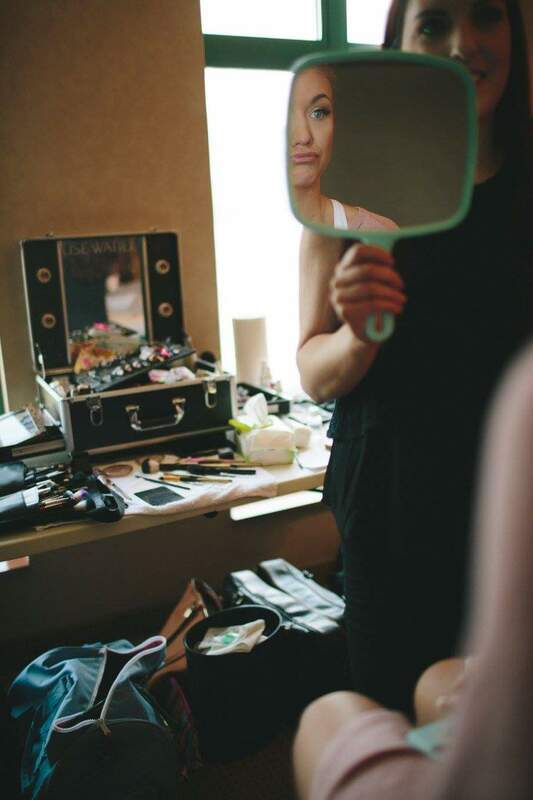 She is stunning without makeup and barely wears it on a daily basis, so it was so great to pamper her! 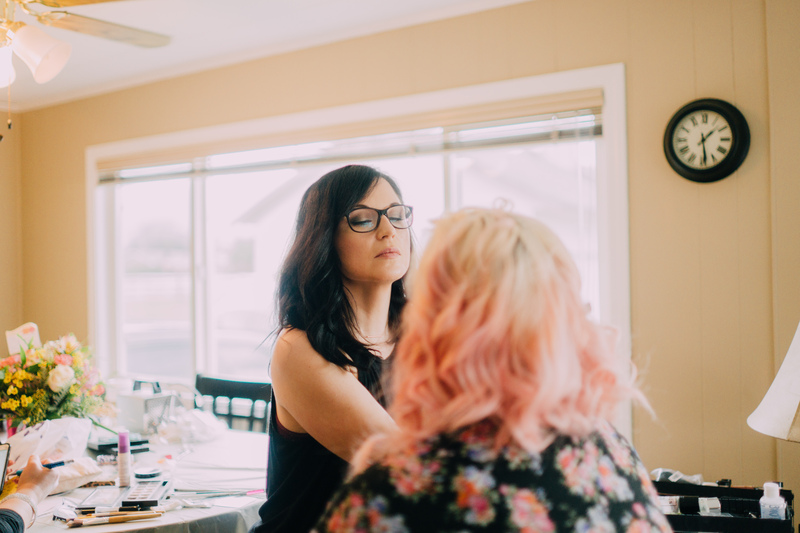 Hannah Wyles Photography spent the morning – evening with the group and couple all over Chilliwack for their wedding photos. 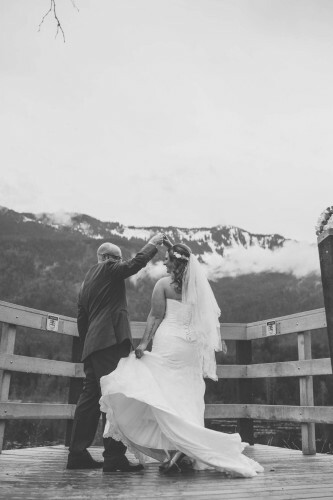 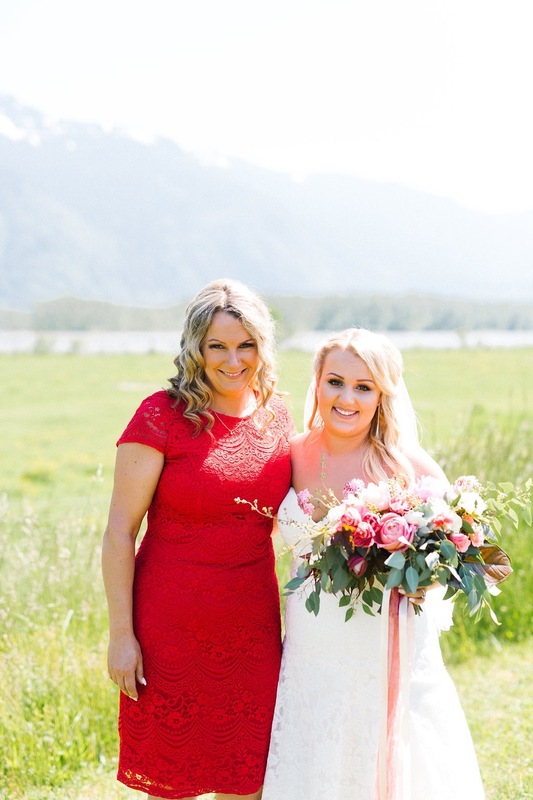 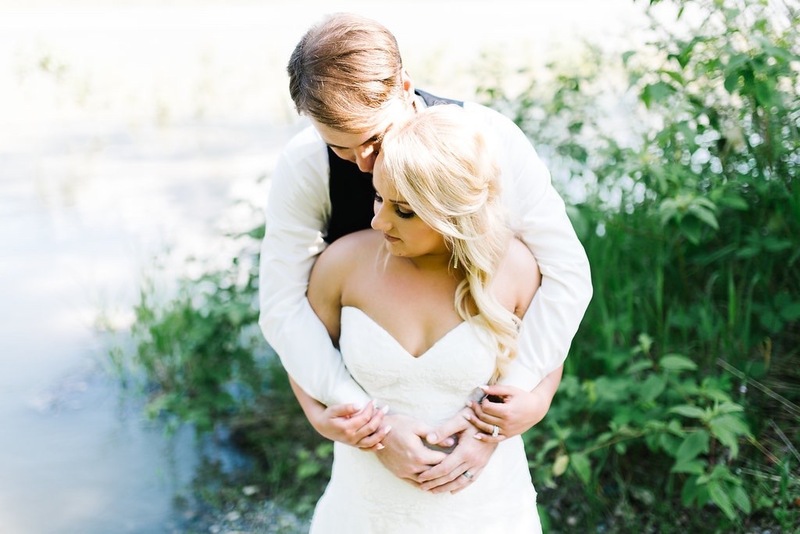 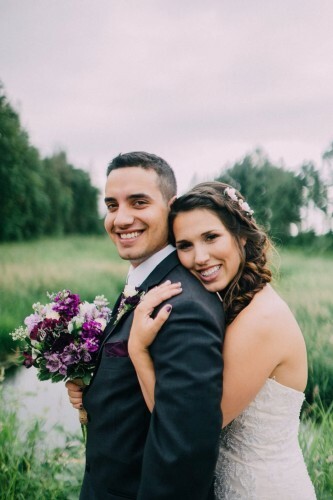 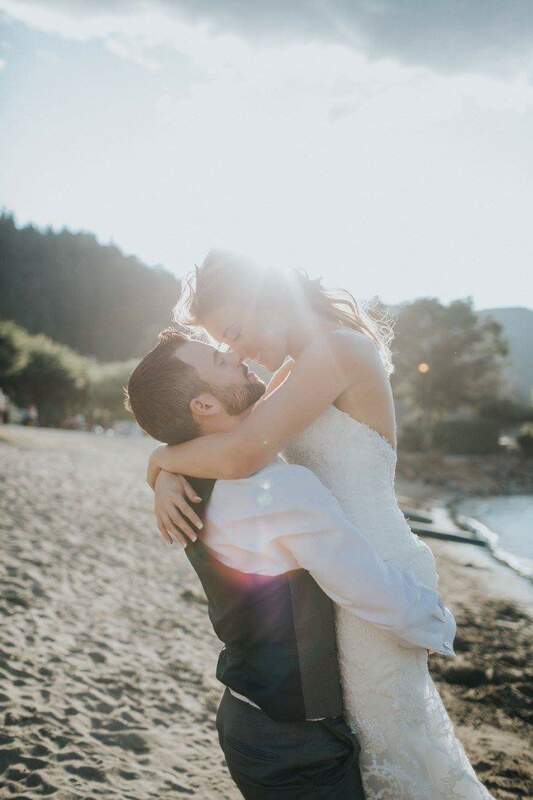 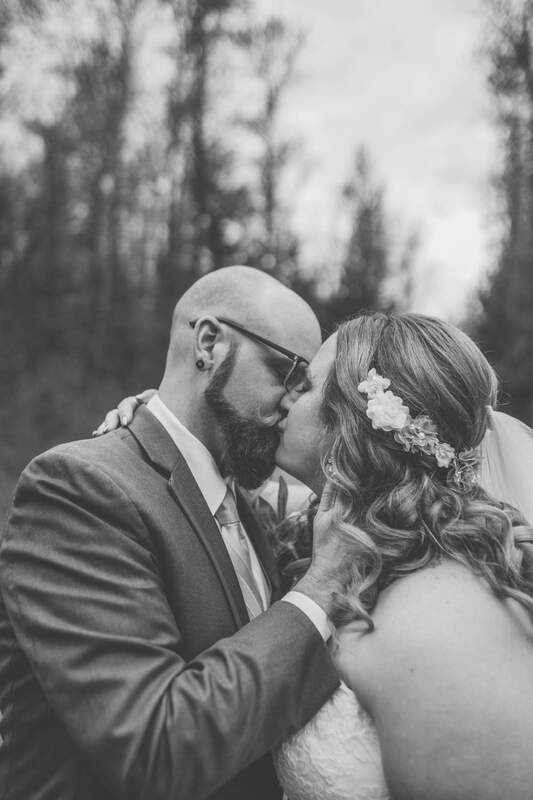 The couple shared their vows and celebrated at the Camp River Hall in Rosedale BC. 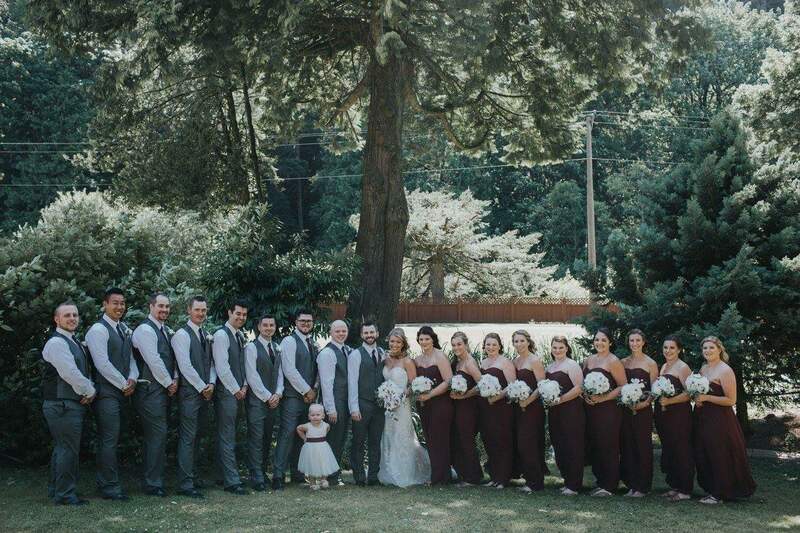 This was a stunning day! 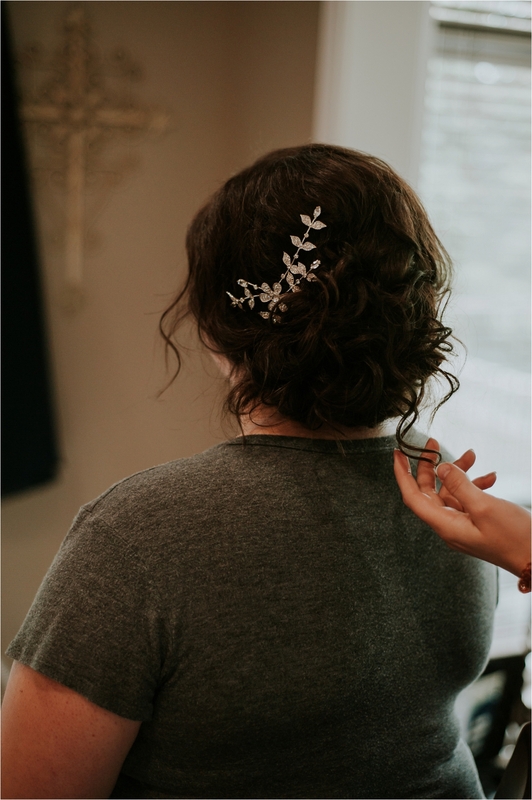 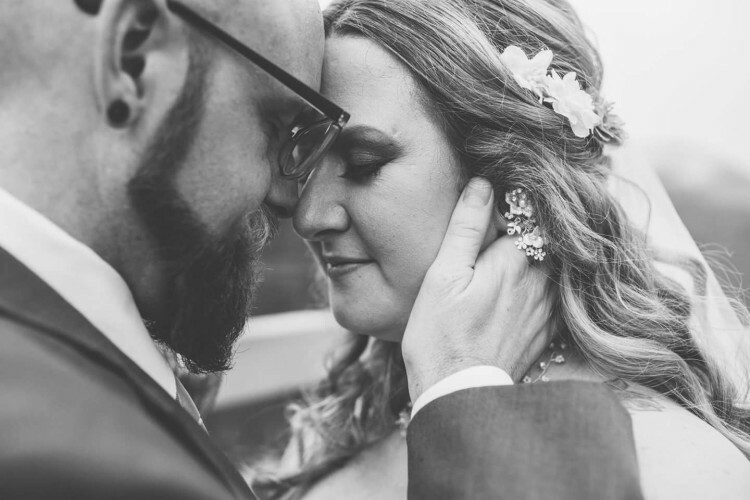 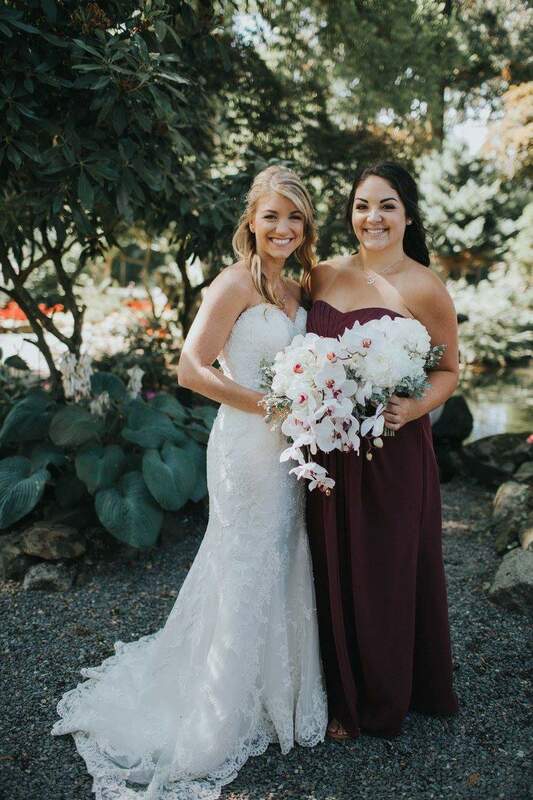 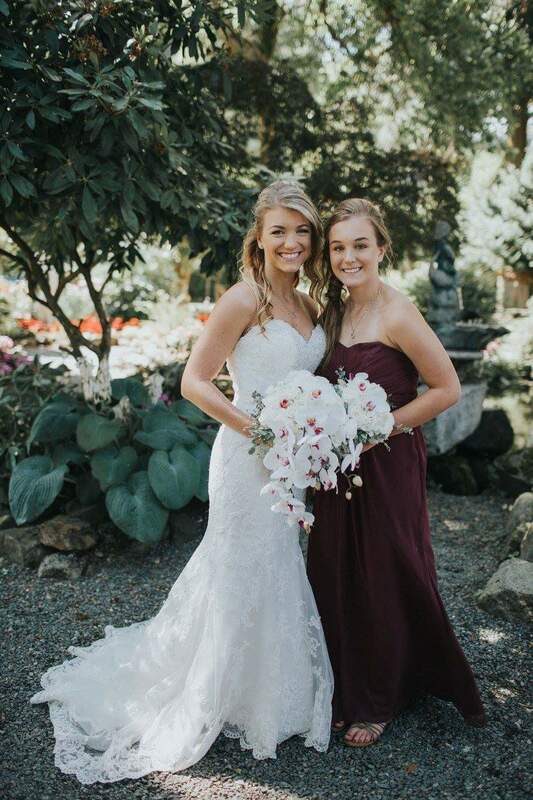 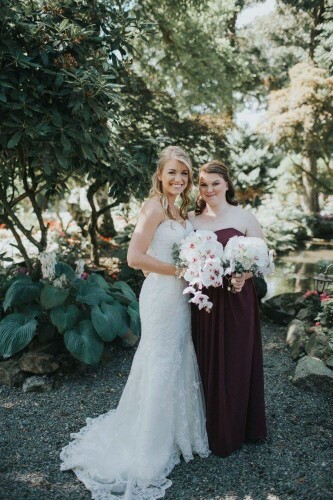 From the dress, hair + Makeup, Venue and flowers, Oh my! 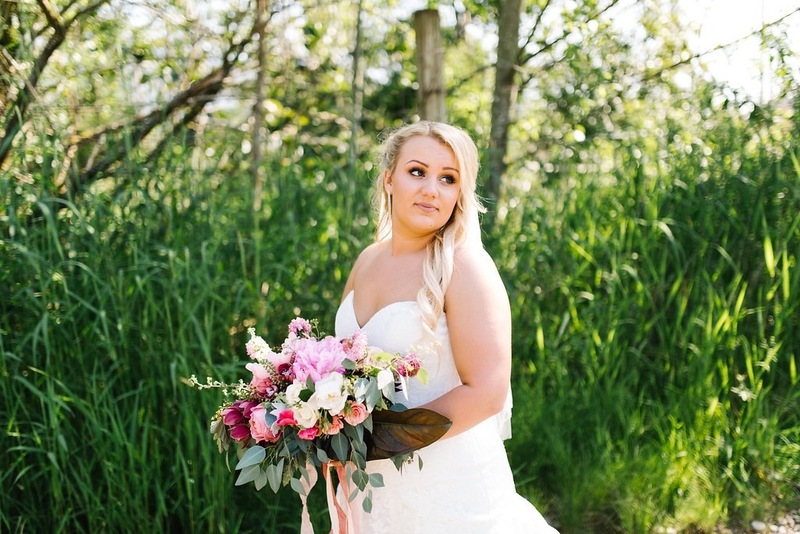 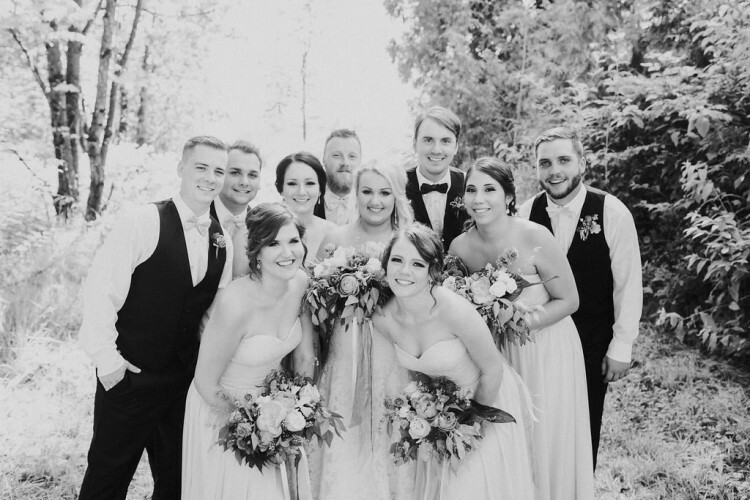 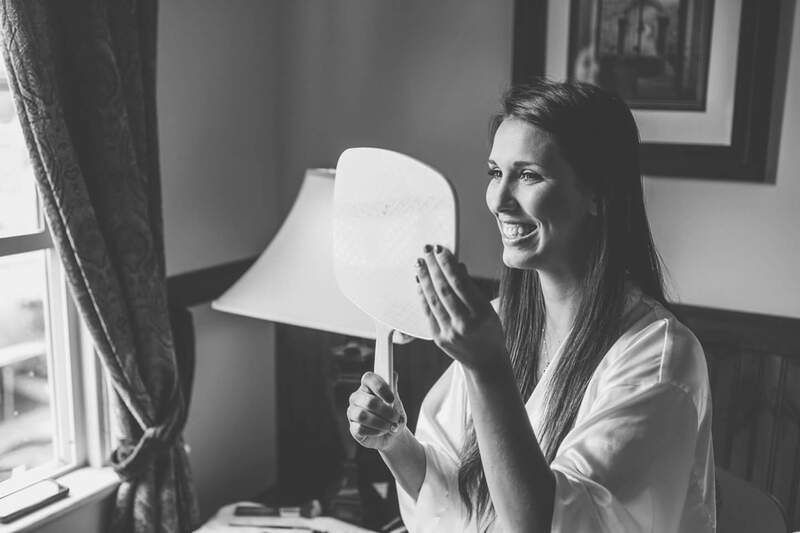 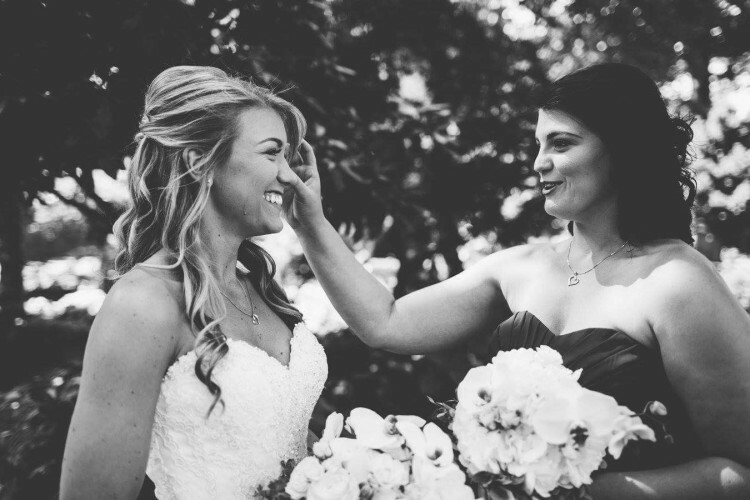 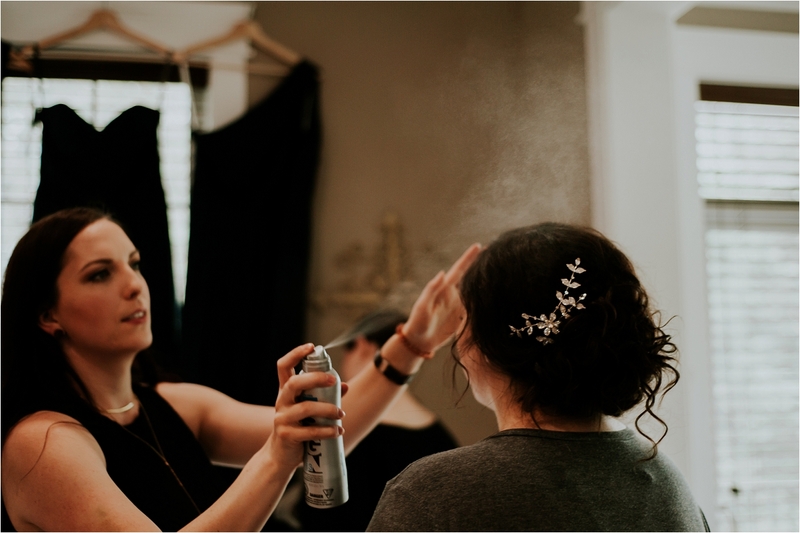 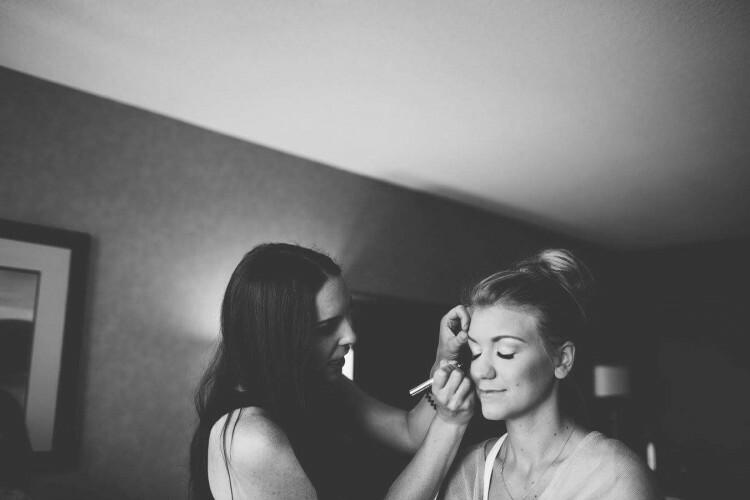 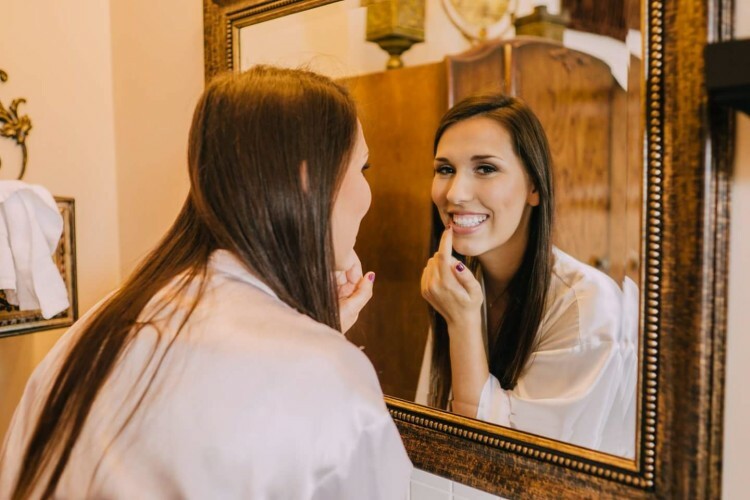 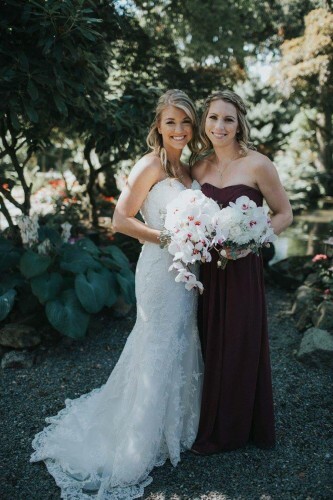 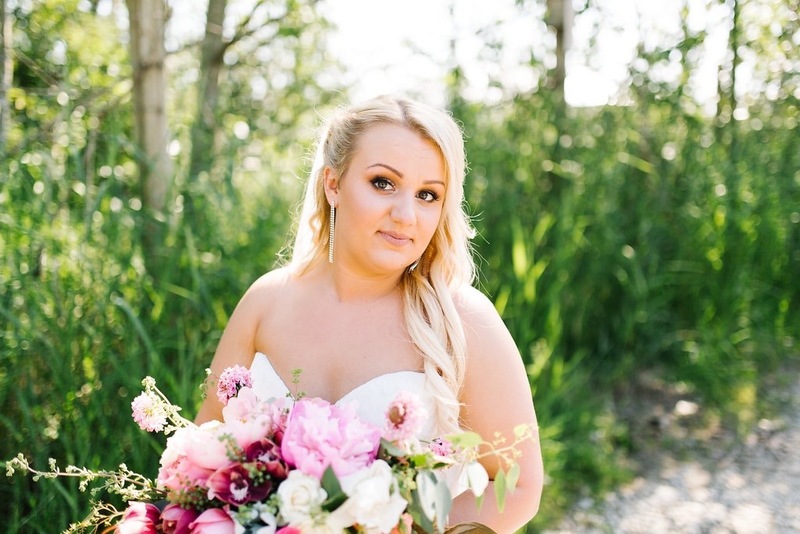 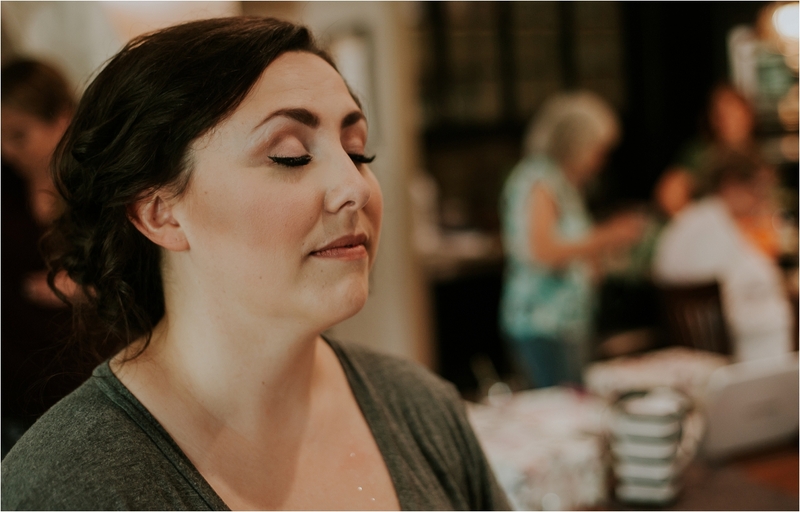 Paige is such a natural beauty, her bridal hair and makeup seemed to happen so effortlessly! 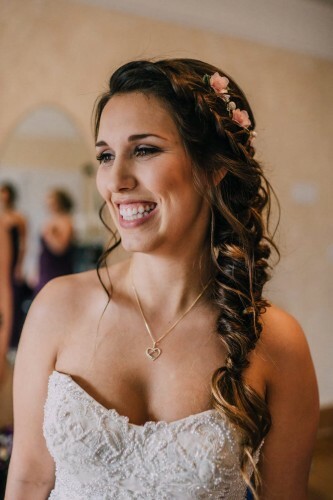 Bridal hair she decided to go with a side swept dutch-fishtail frenchbraid with loose beachy waves. 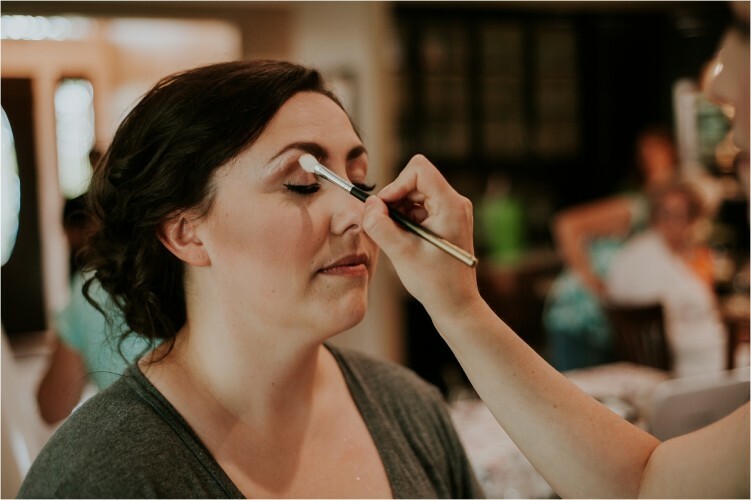 Makeup was perfection, we created a soft cool tone and shimmery smokey eye with everything else matte, contoured and full coverage created by airbrushed foundation. 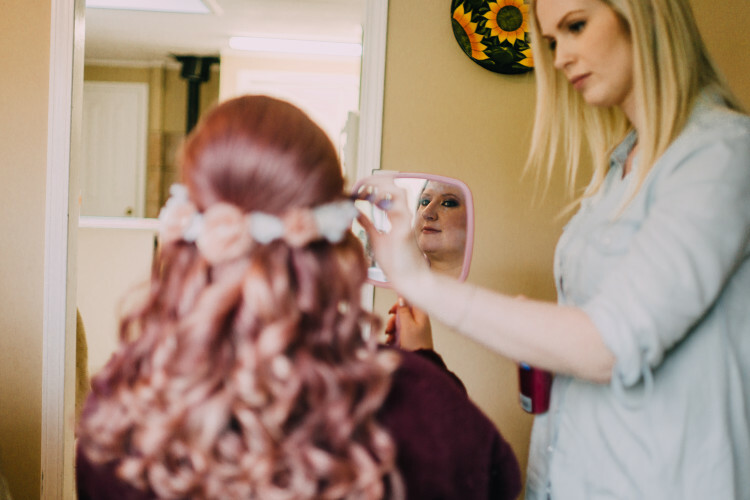 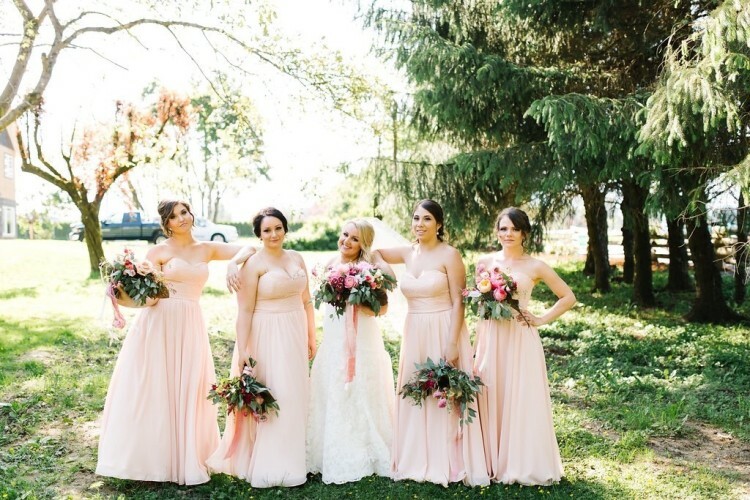 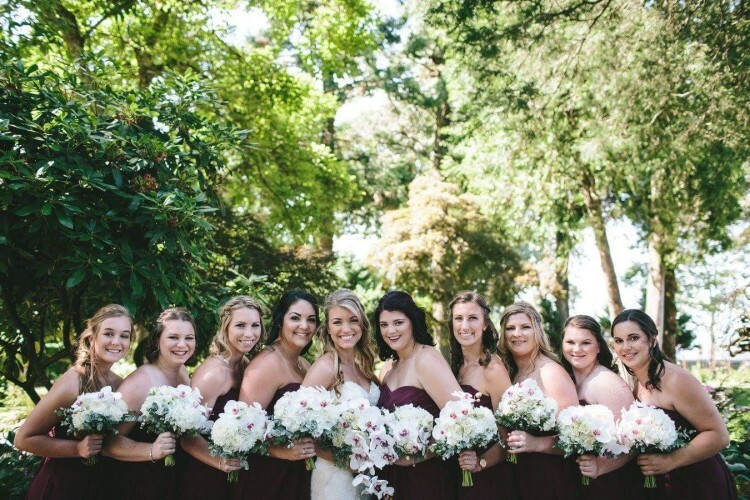 The bridesmaids all got to pick their own look from makeup + hair! 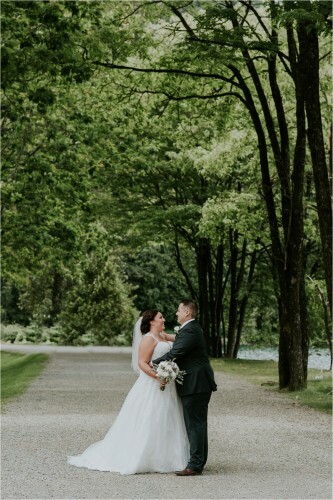 Thank you for booking with us for your day!